Kranz will be tasked with turning the FF 91 from concept to reality. 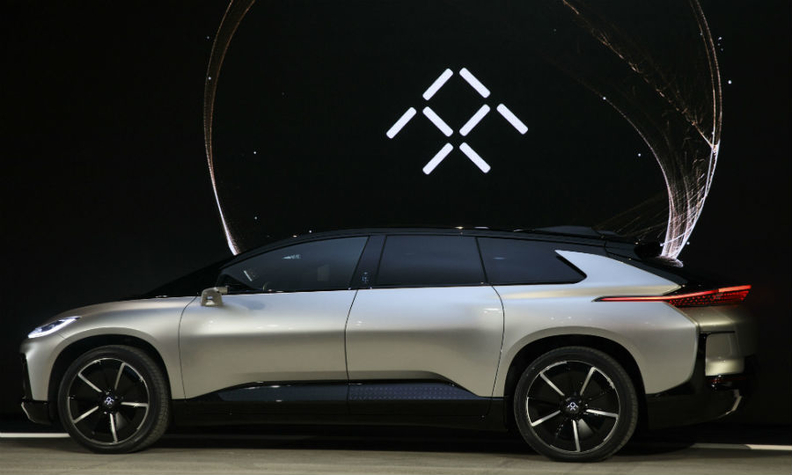 Faraday Future, the electric car startup backed by an under-siege Chinese entrepreneur, has made another high-profile hire at a time of desperate need for stability. Ulrich Kranz, the former head of BMW’s Project i electric vehicle team, has joined Faraday after a more than 30-year career at the German luxury giant. As chief technology officer, he will be tasked with turning the 1,050-horsepower FF 91 from concept to reality amid a cash crunch and concerns about the shaky finances of a top investor, LeEco founder Jia Yueting. Referring to Faraday as a risk at this stage might be an understatement. The company last week shelved a $1 billion factory in Nevada, after months of state officials raising doubts about Jia’s financial backing. After Jia made a fortune building Leshi Internet Information & Technology Corp. into China’s Netflix, expensive forays into movies, smartphones and multiple automotive startups spurred a cash crunch and led a Chinese court to freeze billions of dollars in assets he controlled. When halting work on the plant in North Las Vegas last week, Faraday said it was in the process of finding another facility that would accelerate the FF 91’s start of production. In May, Bloomberg News reported that the company was planning to raise $1 billion to help insulate itself from Jia’s financial woes. For all its challenges, Faraday hasn’t had trouble attracting top executives. Stefan Krause, a former chief financial officer of BMW and Deutsche Bank, joined earlier this year as CFO and has added the title of operating officer. One of the company’s originators is Nick Sampson, its senior vice president of R&D and product development, who helped Tesla develop the Model S sedan and Model X SUV. Faraday started taking $5,000 refundable reservations for the FF 91 in January, without revealing what the car will retail for in total. It’s aiming to start production in 2018.